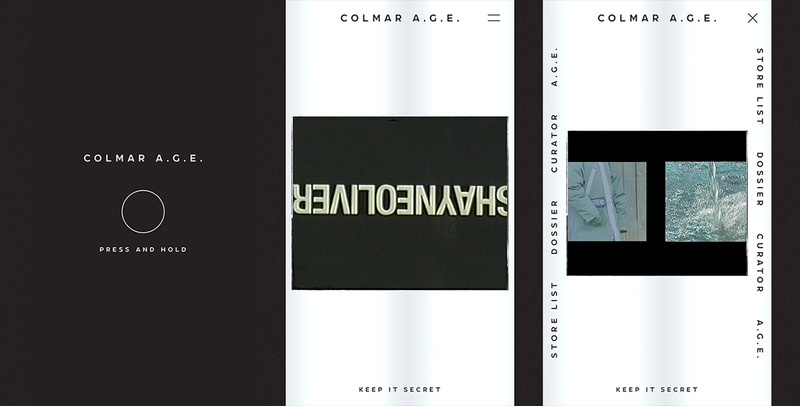 C O L M A R A . G . E .
Colmar A.G.E. 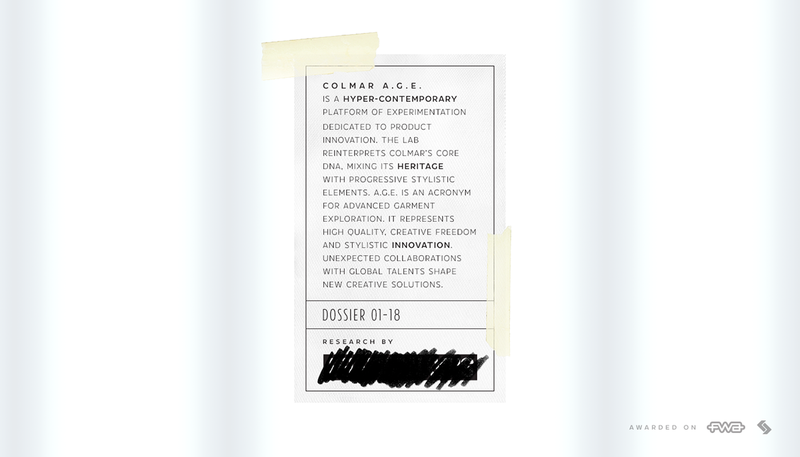 is a space dedicated to research and development, which reinterprets Colmar's core DNA, redefining its heritage and mixing casual clothing with highly technical materials. A.G.E. stands for Advanced Garment Exploration. Highest quality. Creative Freedom. Stylistic innovation. A collaboration with international talents allows the implementation of new creative solutions. 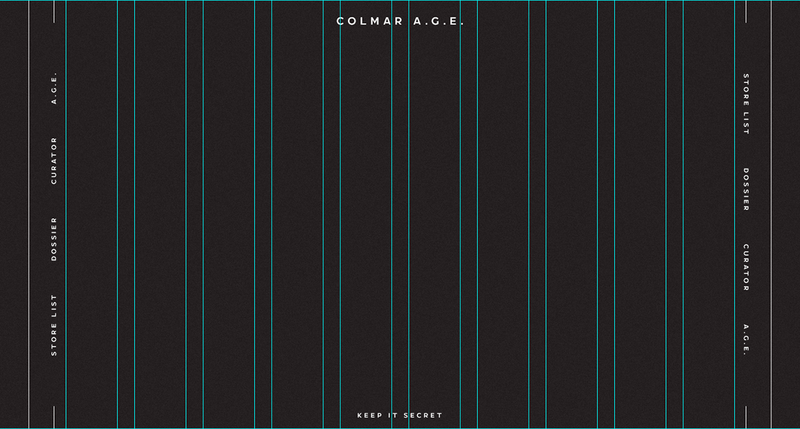 Keep it secret. Thank you! Design with love by Alkemy. 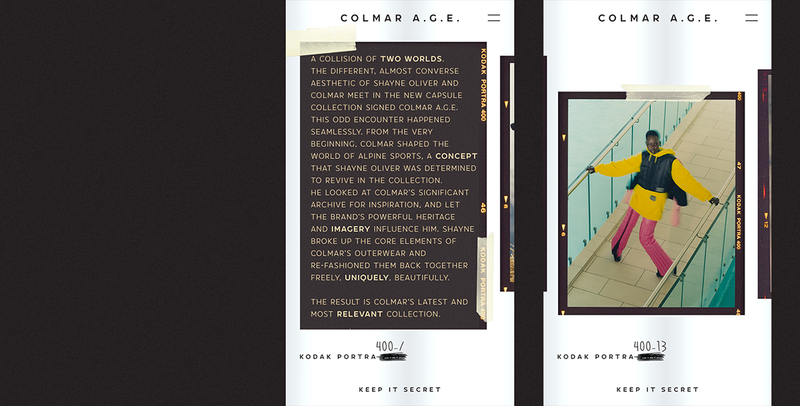 Website of the Day on CSS Design Awards and Website of the Week on DDA. 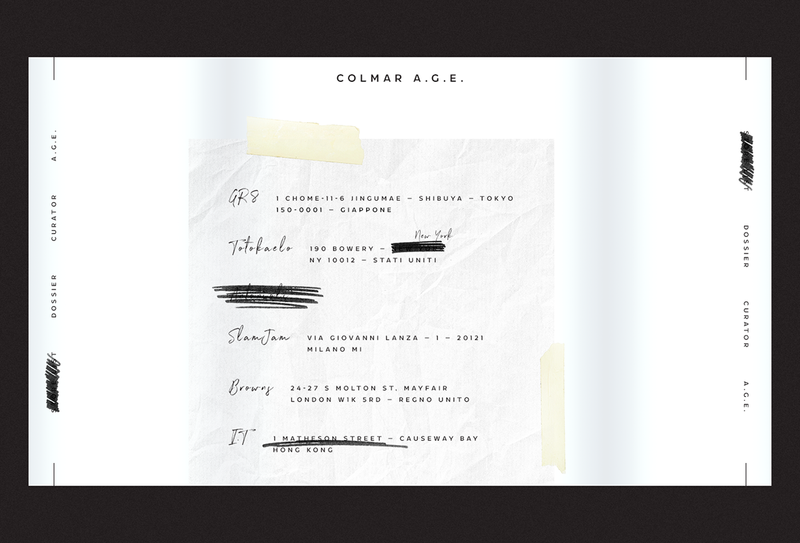 Colmar A.G.E. 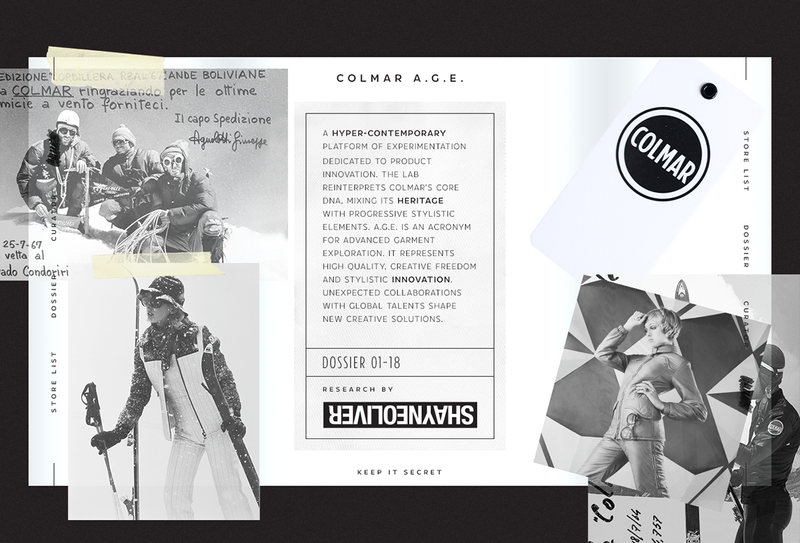 is a hyper-contemporary platform of experimentation dedicated to product innovation. 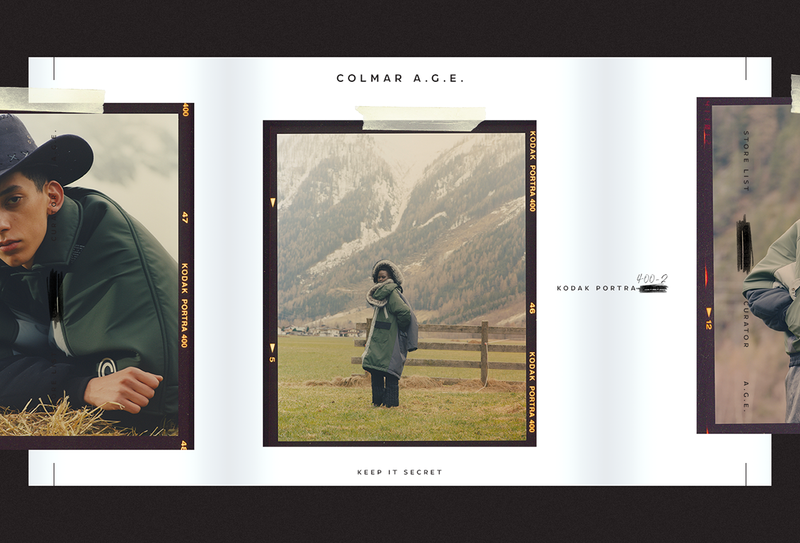 In this space, various talents have the possibility to reinterpret Colmar’s core DNA, mixing its heritage with progressive stylistic elements, always focusing on the brand’s high level of technology. A.G.E. 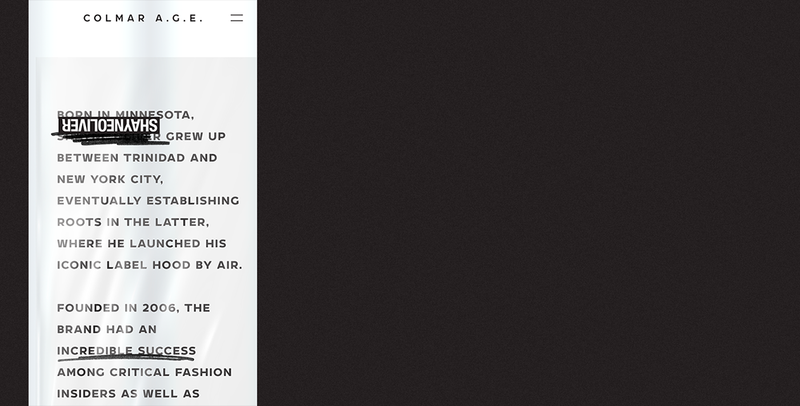 is an acronym for Advanced Garment Exploration. 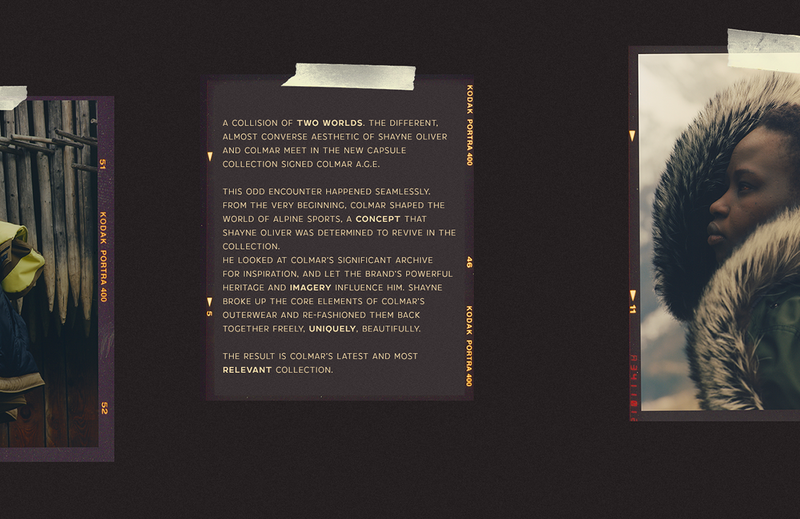 It represents high quality, creative freedom and stylistic innovation. 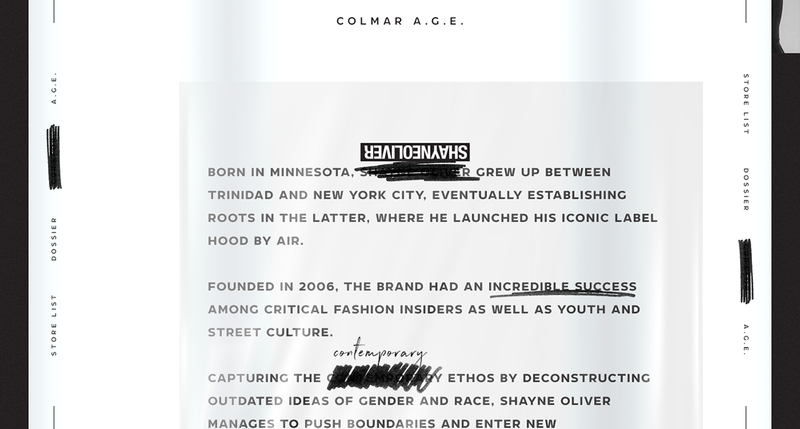 Unexpected collaborations with global talents shape the space for creative solutions.